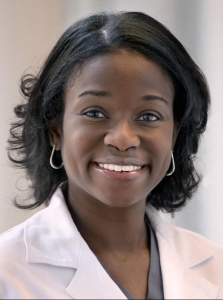 Maame A. Coleman, MD, is an assistant professor in the Department of Obstetrics and Gynecology. After completing her A.B. with Distinction at Duke University, Dr. Coleman continued her education, completing a Master of Education (Ed.M.) in Health Education in Underserved Areas at Harvard University Graduate School of Education in Cambridge, MA. 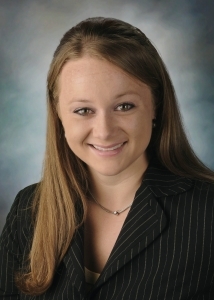 Dr. Coleman earned her medical degree at Saint Louis University School of Medicine in Saint Louis, MO followed by completion of her Obstetrics and Gynecology residency at Baylor College of Medicine in Houston, TX. Dr. Coleman is fluent in Ga (language of Ghana, West Africa) and moderately fluent in Spanish. Her clinical interests include general obstetrics and gynecology especially the prevention and treatment of HPV as well as global health. Dr. Coleman is currently active in global health initiatives in Ghana, Malawi. 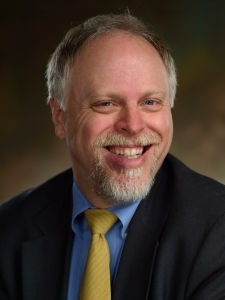 Christopher Greeley is Chief of the Section of Public Health Pediatrics at Texas Children’s Hospital and Professor of Pediatrics at Baylor College of Medicine. He received his undergraduate degree from Hobart College in Geneva, New York. He received his medical degree from the University of Virginia in 1992 and complete internship and residency in pediatrics at Vanderbilt University. He received a Masters in Clinical Research, with a special concentration on Comparative Effectiveness Research, from the University of Texas Health Science Center in Houston. He is board certified in General Pediatrics as well as Child Abuse Pediatrics, and is a member of the AMA and the AAP. This session will present a snapshot of children from around the world. The data presented will display the areas in which children are vulnerable and the countries with the greatest adversities to children. Michael Goodman completed his doctorate in public health at the University of Texas School of Public Health in 2014. He has been active in research on psychosocial, economic and physical health among orphans and vulnerable children in Kenya for the past 5 years. He is the executive director of Sodzo International, an organization with the mission to advance the well-being of the world’s most vulnerable children, and a post-doctoral research fellow at UTMB in the Center for Infectious Diseases. He enjoys mentoring students and building cross-sectoral collaborations such as that found with HGHC, where Michael was previously engaged as co-founder and board member. 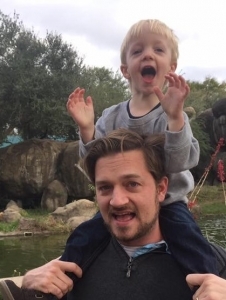 Michael is married to a pediatrician, Lauren Raimer-Goodman, and has two fantastic children. Globally, 10s of millions of children live on the street. Our data has found that maternal adversity and health contributes to this phenomenon in previously unexplored ways. In order to protect our children, the health of mothers must be secured. In order to ensure the health of mothers, the capacities of girls must be developed, and their lives protected from abuse, neglect, dysfunction and violence. Improving the lives of the next generation, and decreasing the probability that children end up on the street, begins with mothers now. Adrian France, MD, is a third year pediatric resident at University of Texas, Houston, TX. She received her BA in biology with a focus in Spanish from the University of Texas at Austin and completed medical school at University of Texas Health Science Center at San Antonio. During medical school, she participated then led trips to Panama and Nicaragua. She recently spent a month in the Pediatric Intensive Care Unit in Hue, Vietnam. This talk will provide a look inside pediatrics in Vietnam. Partnerships between pediatric residencies and foreign hospitals result in bidirectional share of information and disease management practices. Vietnam is making large strides in providing effective healthcare however there are still many disease processes being managed without the use of evidence based guidelines. 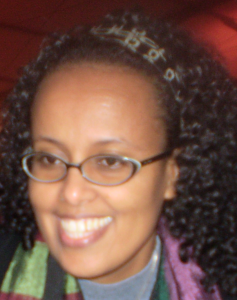 Guenet Degaffe, MD, is a native of Ethiopia. She received her B.A. degree from Wartburg College, Waverly, IA; her MD degree from the University of New Mexico, Albuquerque, NM and completed her residency in Pediatrics and fellowship in Pediatric Infectious Diseases at the University of Texas, Houston, TX. She is an assistant professor at UT Health, Houston, TX in the division of Community and General Pediatrics. Ethiopia is one of the United States member states who has either met or is on track to meet the millennium development goals adopted at the 2000 United Nations Millennium Summit. As focus is shifting from targeting diseases with a large scale epidemiological impact to building capacity in specialized tertiary care centers, opportunities present themselves for involvement through need assessment and quality improvement projects to impact neonatal and pediatric health care delivery that is emergent, timely and follows available guidelines already in place. Sustained engagement from resource and experience rich developed countries can potentially impact the culture, ethics, and quality of health care delivery in resource poor settings to improve outcomes in neonatal and pediatric health care.